Skif printed multicolour sweater over Oska jeans. 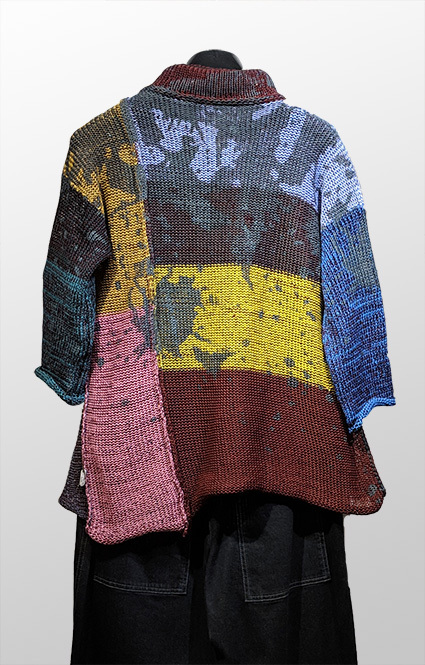 Skif printed multicolour sweater, back view. 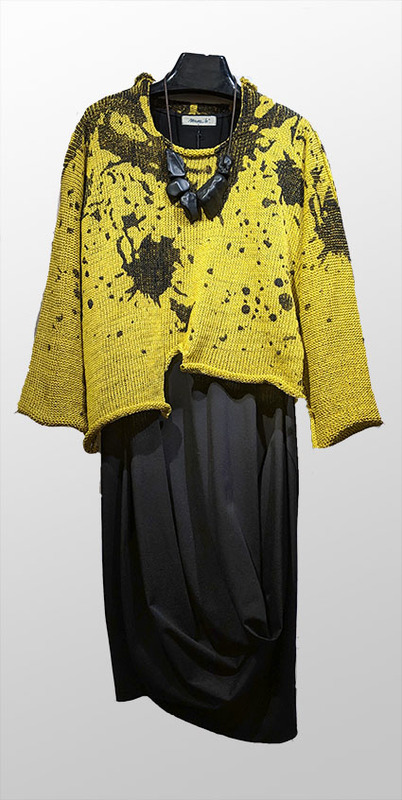 Skif splatter-print sweater over Mama B dress. Skif printed sweater with Flax linen floods in Natural. Skif sweater with pockets over Motion dress. Skif screen printed tunic over Motion plaid gaucho pant. Skif cardigan over Black Label twisted tulle dress. 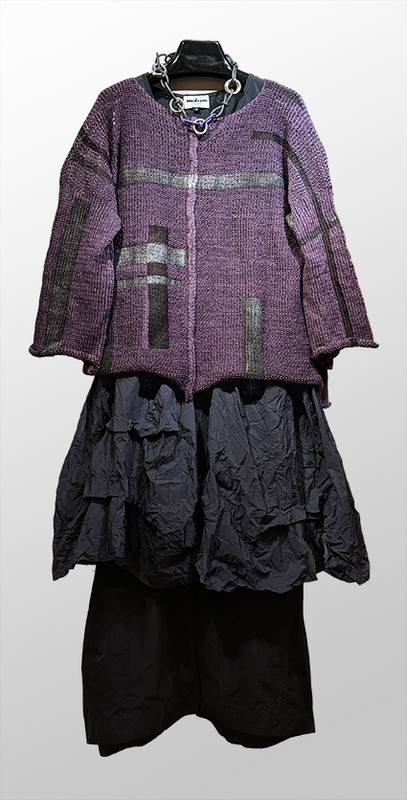 Skif screen printed sweater over Motion crushed dress in grape, and pocketed pant in black. 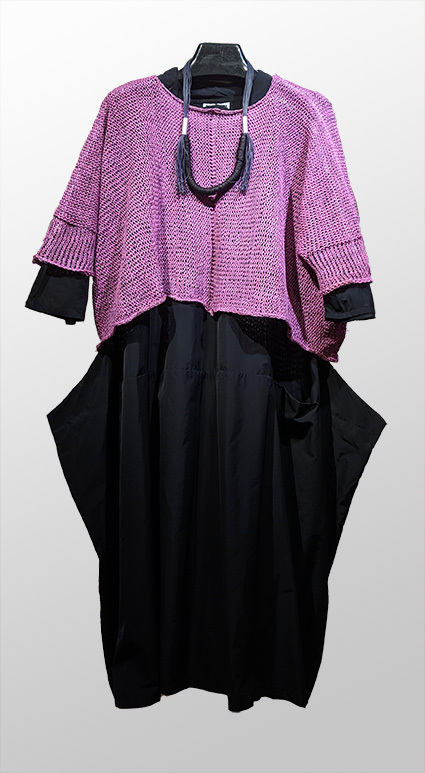 Skif pullover in shimmering bubblegum over Motion two-pocket dress in memory fabric. Skif bubblegum sweater over Mes Soeurs et Moi pullover and Motion belle skirt. Skif metallic blue sweater over Cynthia Ashby 100% cotton tunic and vespa pant in Navy.